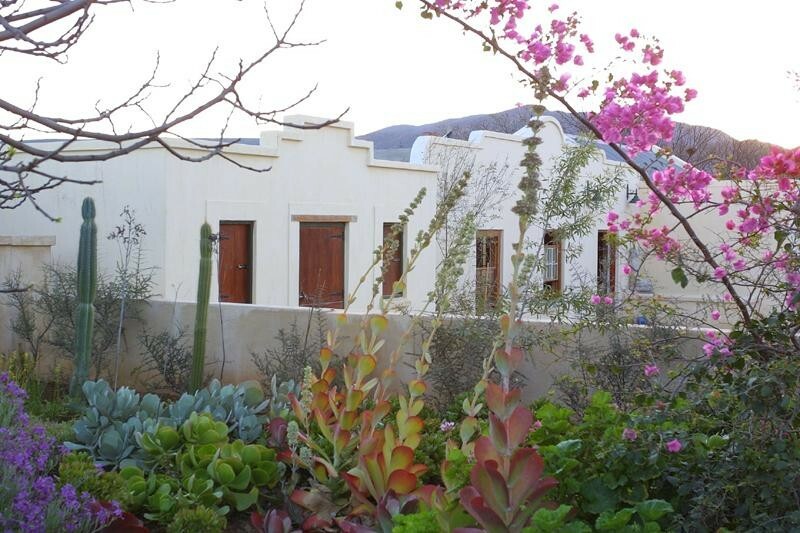 Beautiful authentic Karoo Cottages (one or two bedrooms all en suite) in quiet cul de sac in Calitzdorp on Route 62. Fully equipped for self catering but we also serve a delicious full English breakfast. Private patios, braai/barbeque facilities, additional outdoor baths & showers, plunge pool, beautiful gardens with herbs, fruit, succulents.